OMG how cute is this menu idea? Love it! 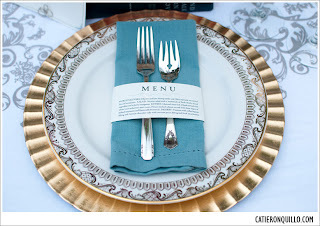 And the adorable place settings?? 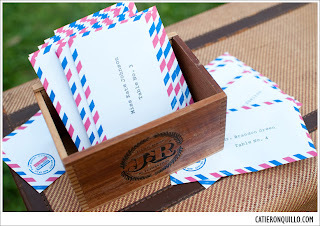 You can buy those envelopes at the drugstore and easily DIY with a typewriter! Love Catieronquillo!